A few days ago the MIT Media Lab unveiled the 100$ Laptop. These laptops will feature a 500 MHz AMD Chip, WLAN, a colorscreen and crank handle to recharge the batteries and will be sold to the ministries of education at a cost of 100$ each. 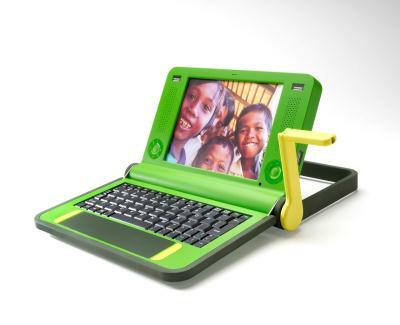 The initiative "One Laptop per Child" is led by Nicholas Negroponte and will start distributing laptops in early 2007 to China, Egypt, Thailand and Brazil. Linux-based btw! But 100$ still is an unthinkable lot of money for people below poverty level. And what about the language? Linux is great, but it doesn't support every language on earth. I thinkt the most important point is not hardware but education. If you don't speak one of the most common languages you can't tab into online knowledge databases, even if the blurry connectivity vision of MIT works on day the notebook is a good idea, but what about teachers to teach how to use it? What about connectivity? Aren't telecommunications services expensive in the developing world? When these machines pop out of the box, they will make a mesh network of their own, peer-to-peer. This is something initially developed at MIT and the Media Lab. We are also exploring ways to connect them to the backbone of the Internet at very low cost. the people themselves do NOT have to pay for the laptop and as the initiative name itself says a laptop for every child they will try to evenly distribute it. also these 100$ are the maximum price, which will drop in reasonable time. still this money is quite a lot, especially for poor countries, but i think it is a good start do attack the digital divide. as far as languages are concerned, i think to this project apply the same rules as to schoolbooks, they have to be written in the local lingua franca and i think linux will make this possible. btw, there is no social scientist in the board of this initiative ..